Increasingly age is being associated in our society with an economic threat. We are hearing more and more uses of terms like “the grey tide” to illustrate the perceived threat that an ageing population represents. Age is constructed in ideas of cost and ageing bodies are assumed to be unproductive bodies. The focus of a lot of the rhetoric of threat is the perceived cost of health care for ageing people, and the assumed impact this will have on the overall economy. Holly Schofield’s “Generation Gap” begins with a character who is threatened by health care debt. We are told by Brendan’s medi-bot that “Personal health care debt exceeds five hundred thousand dollar maximum. Re Federal Act #AJ4448802-Mar 2060. Confirmation #28495488988. Euthenasia approved.” The medi-bot prepares to end Brendan’s life because he is now deemed to be too expensive to keep alive. Schofield explores the interaction between the perception of aged bodies as unproductive, the notion of health care for the elderly as expensive, and the danger of the right to die. In the world Schofield imagines, current issues around the construction of ageing as unproductive and economically threatening have exacerbated to the point where aged people are viewed as disposable. Schofield opens up a dark window into our future if we continue to construct ageing as an economic waste. Schofield challenges other features that popular culture tends to associate with ageing, like the assumption that aged people have issues with memory and Brendan is able to save himself from involuntary euthenasia by giving him a job providing information about the past to a young person named Jonno, who is trying to recover his family’s past. Schofield challenges the stereotype of aged people not wanting to participate in society by illustrating Brendan’s joy at having a job and feeling like he can contribute to the next generation. He is ecstatic about having a job that he is capable of doing well and that caters to his abilities. But in addition to the questions and cautions that Schofield raises about the social construction of ageing, she also creates a story about family divisions and intergenerational differences, pointing out the complexities of different relationships to identity and the body between generations. The right to die is a complicated issue that brings with it questions of whether people want to die because our society makes it impossible for a disabled person or an aged person to survive comfortably in our society. With the right to die, people in the disabled community have asked “Is it really a right to die when our society provides no ability for disabled people to live within it?”. 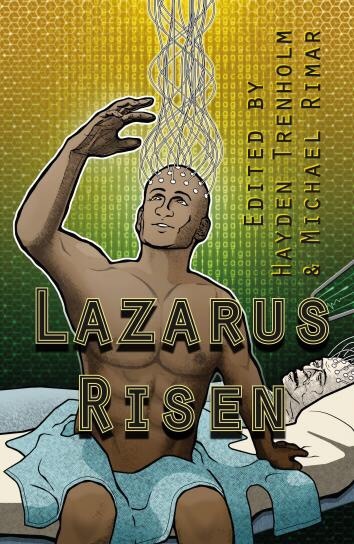 Suzanne Church takes on the complicated issue of the right to die in “Lost Flesh”, a tale about immortality and the desire by immortal characters to die once their lives become monotonous and unstimulating. Church brings up an issue that people often ignore in tales of immortality: what does it mean to be immortal in a capitalist society. She explores the idea that every extension of life brings with it a contract for prolonged work, highlighting the issues of ageing in a capitalist society. As characters age endlessly, the only constant in their lives is work and the monotony that comes with perpetual work means that life quickly loses its joie, its vigour, its value. Characters lose their sense of wonder and life begins to feel like an eternity of repetition. “Lost Flesh” is a story that explores the horrors of immortality within a capitalist system, where unageing bodies become only vessels of labour, machines of production. Church asks what the right to die means in a society where living means exploitation. 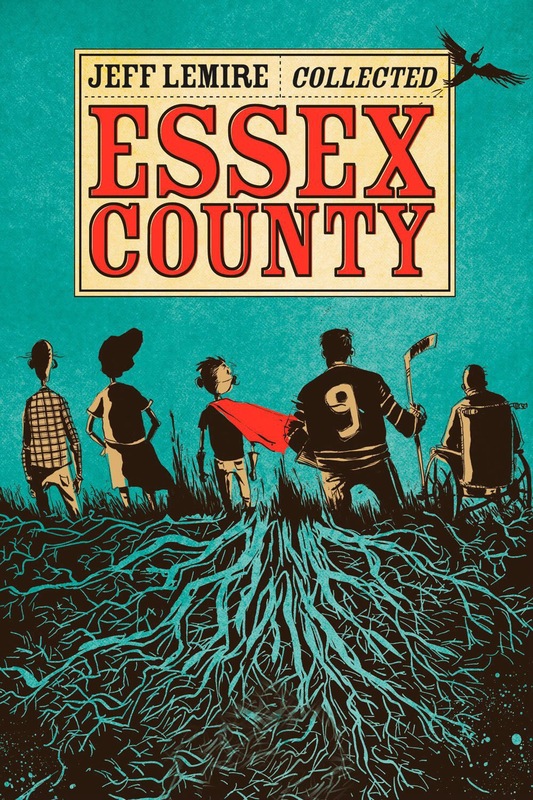 Jeff Lemire’s Essex County provides a fascinating look into small town Ontario life. Rather than just fixating on the lives of the young in this coming-of-age narrative, Lemire explores the multiple times in our lives that we come-of-age and expresses the idea that we are constantly coming of age as we change and our social and bodily circumstances change. Lemire explores ideas of escape and settlement in small town Ontario life illustrating the way that home is something that constantly shifts and changes and is something that is made up as much of relationships to others and to traditions as it is about a physical space. Lemire complicates notions of home, portraying his characters as constantly trying to fit in but also feeling a sense of longing when they leave. Lemire’s exploration is about the people in Essex County, but it is also about their bodies since many of the characters become disabled at different points in the narrative, shifting their understandings of their own bodies and their bodily identities. As bodies change and shift, relationships are also altered and changed, pointing out the ways that our bodies are complicit in our understanding of our world. The graphic novel format of Essex County brings attention to the ways that bodies occupy spaces and the absence that they leave in the spaces they cease to occupy.